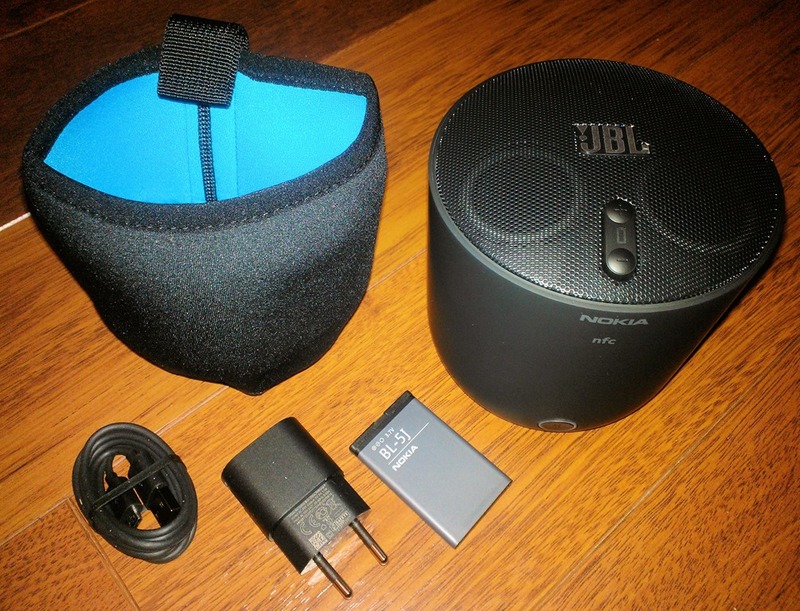 The JBL Play Up speaker is supplied with a tight fitting black neoprene pouch with cyan internal accenting, A Nokia BL-5J battery, a micro-USB to USB cable and USB mains plug. 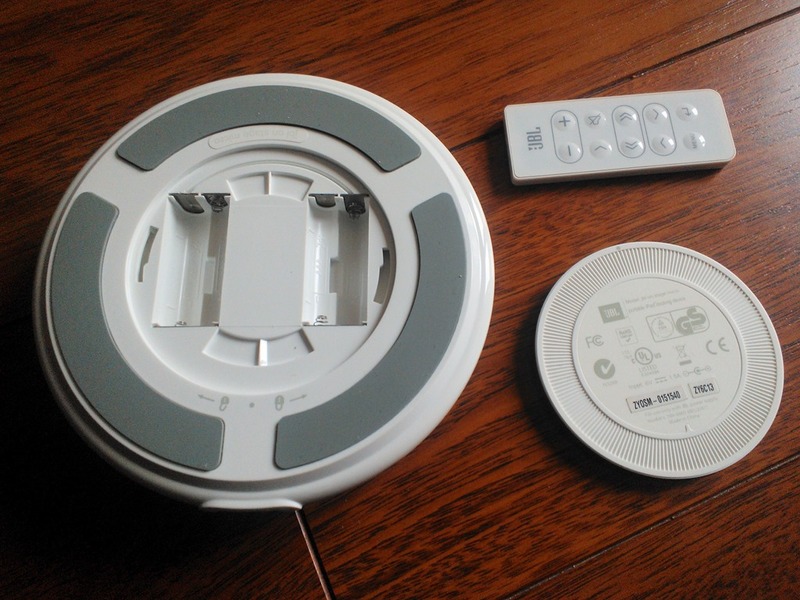 In addition to this, removing the bottom cover provides access to a 1m audio cable. 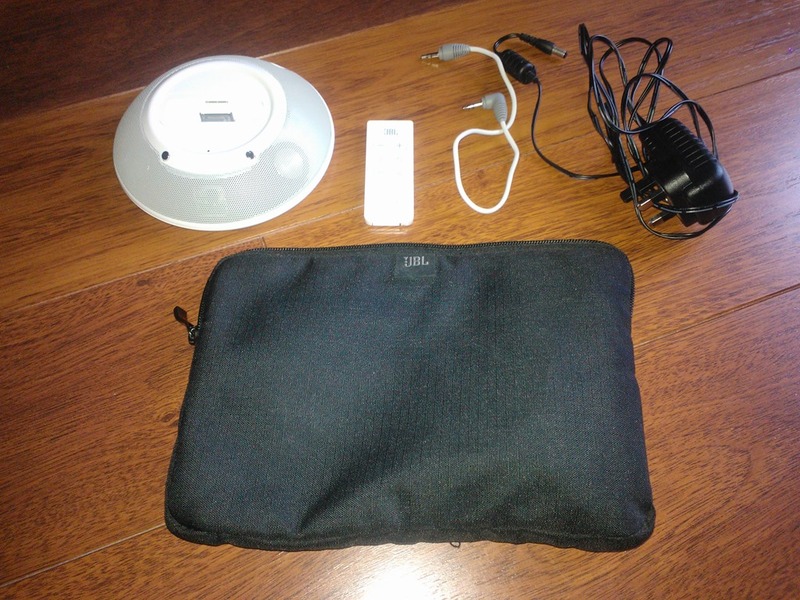 In comparison the JBL On-Stage micro speaker was supplied with a black fabric zip-up pouch with slots for all accessories, including a mains cable/plug, audio cable, a remote control and, as it is an iPod accessory, a number of iPod dock connections. No batteries were provided as the JBL On-Stage micro is powered from mains or four AAA batteries. When it come to weight, the older JBL On-Stage Micro (375g) wins again as it is less than half the weight of the JBL Play Up (760g) which aligns to to the volume difference. For this comparison I will stick with the JBL On-Stage Micro and JBL Play Up. The JBL Play Up’s (128mm height and 118mm diameter (445cm³ )) portability is based around it’s small size, although the JBL On-Stage Micro (38mm height and 148 mm diameter (208cm³ )) packs more easily as it is less than 30% of the height and 50% of the volume. The JBL Play Up speaker is available in a number of colours, with the one I am testing being stealth-like, matte black. The only issue I have with the appearance of the JBL Play Up speaker is the matte finish on the speaker body shows fingerprints extremely easily. This can be avoided by keeping the speaker in it’s black neoprene pouch, except for the fact that the power button can not be easily operated, charging is not possible and low end sound quality is slightly hindered in the pouch. 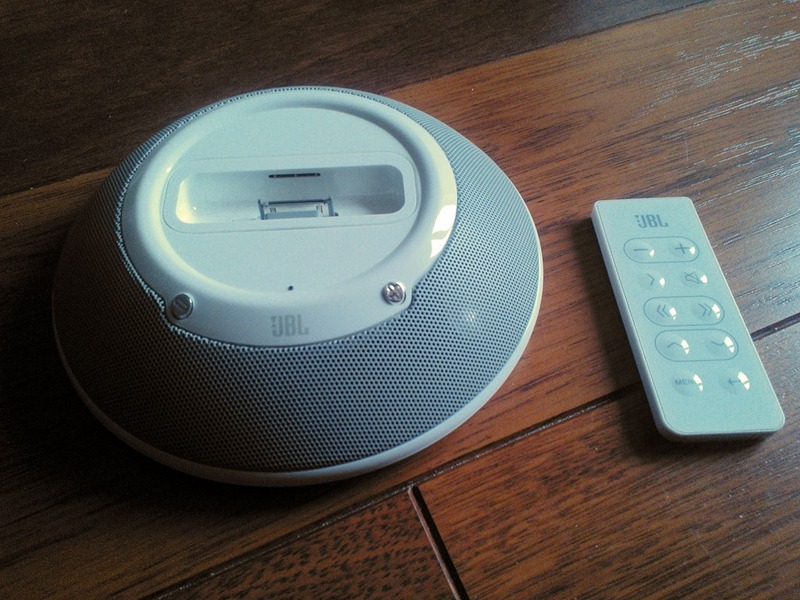 The JBL On-stage micro came in glossy white, surprisingly enough, as it is an iPod accessory. Moving on to power, the JBL Play Up is quoted as capable of up to 10hrs, compared with the original claim of 24hrs for the JBL On-Stage micro. 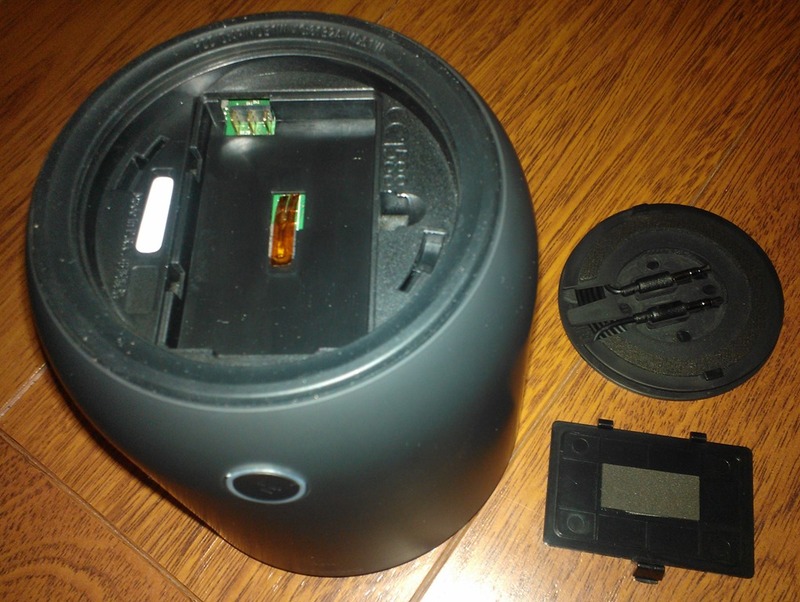 The time a gadget operates for comes down to two factors: the amount of power under the hood, and how power hungry it is. 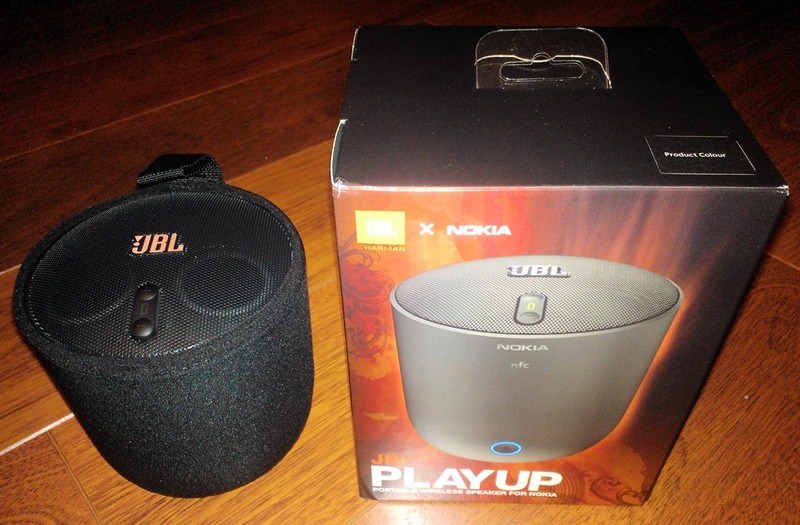 Power Pack: The JBL Play Up comes with a Nokia BL-5J 1430mAh 3.7V rechargeable battery, whereas the JBL On-Stage Mini runs of mains, or four AAA batteries (700mAh each for standard rechargeable batteries). Power Consumption: Based on the functionality of the two devices, there is no surprise that the JBL On-Stage Micro lasts longer as its only connectivity is via a standard 3.5mm stereo mini-jack socket, whereas the JBL Play Up incorporates Bluetooth and NFC connectivity, which is known to cause more power drain than a wired connection. Re-charging is easy on the JBL Play Up speaker as it uses a standard mini-USB using the high-speed USB 2.0 standard and an included USB to mini-USB cable enable mains of PC based power. 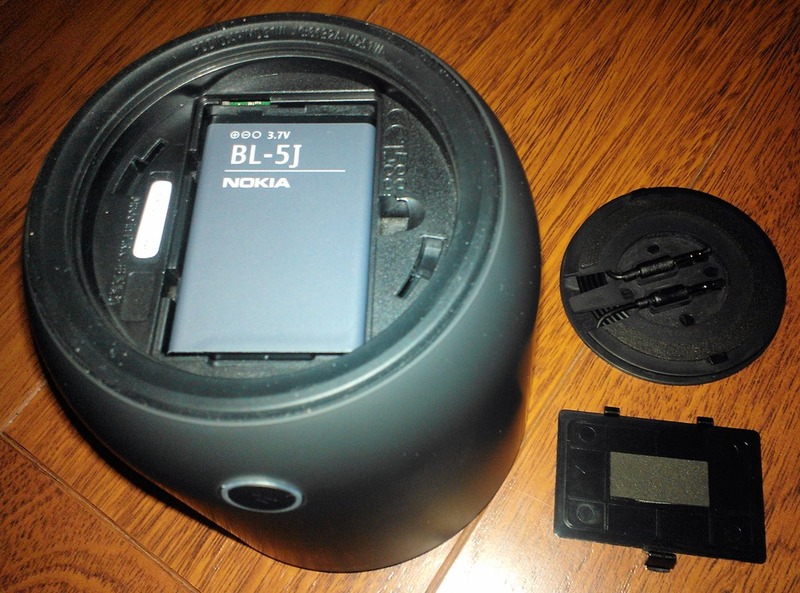 The JBL On-Stage Mini does not permit in-device recharging of the four AAA batteries, but having no available charging source is not an issue as normal non-rechargeable batteries can be used. Connectivity is where the JBL Play Up speaker takes the lead with wired (1m 3.5mm audio jack-to-jack cable included) and wireless (Bluetooth 2.1 +EDR) which is eased by NFC ( Near Field Communication) to speed up connection and disconnection. As the JBL On-Stage micro is aimed at the iPod generation, it incorporates an iPod dock with mains socket, separate audio in and out connections and a USB mini connection for iPod – PC synchronisation at the rear. For this review I am only really interested in the mains and audio in connections. The JBL Play Up speaker contains 1.75″ 3-watt full range drivers with a maximum output of 89dB at 0.5m and an audio range of 85Hz – 22kHz (-6db). I would love to provide more stats, but they appear to be few and far between. In comparison, the JBL On-Stage Mini audio quality is built on the two 15-watt aluminium-domed Odyssey transducers and one 30-watt proprietary "slipstream" port architecture for improved bass response providing an audio range of 70Hz – 20kHz. Unluckily the specifications available for both devices aren’t as aligned as I had hoped, so it’s time to move on to the physical test. 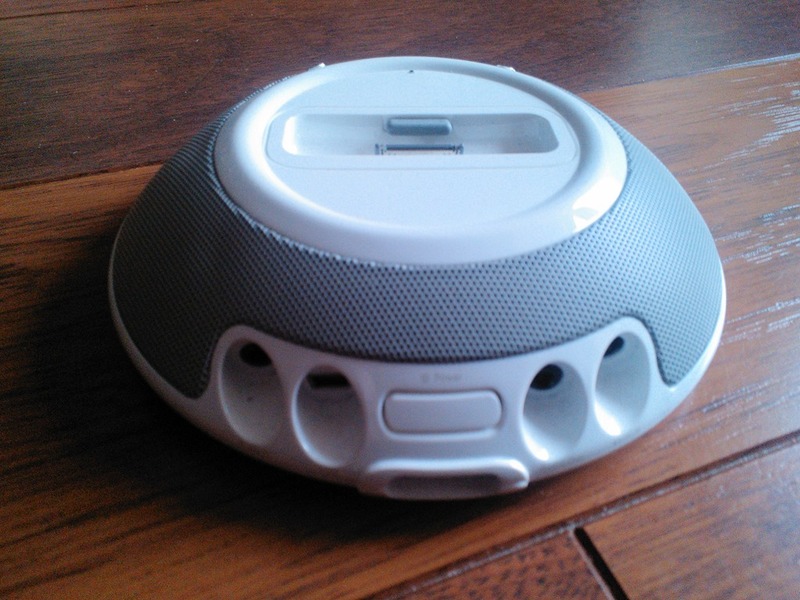 These tracks were selected to test out the full range of audio from each speaker. The sound quality from both speakers is impressive for their size and portability, with the JBL Play Up proving a very rich, full, sound from high end treble to low end bass, and the bass is where the JBL Play Up wins hands down over the JBL On-Stage micro. In comparison the JBL On-Stage micro sound provides a more open sound than the JBL Play Up within it’s capable range, although it is left sounding small and tinny when up against the JBL Play Up. 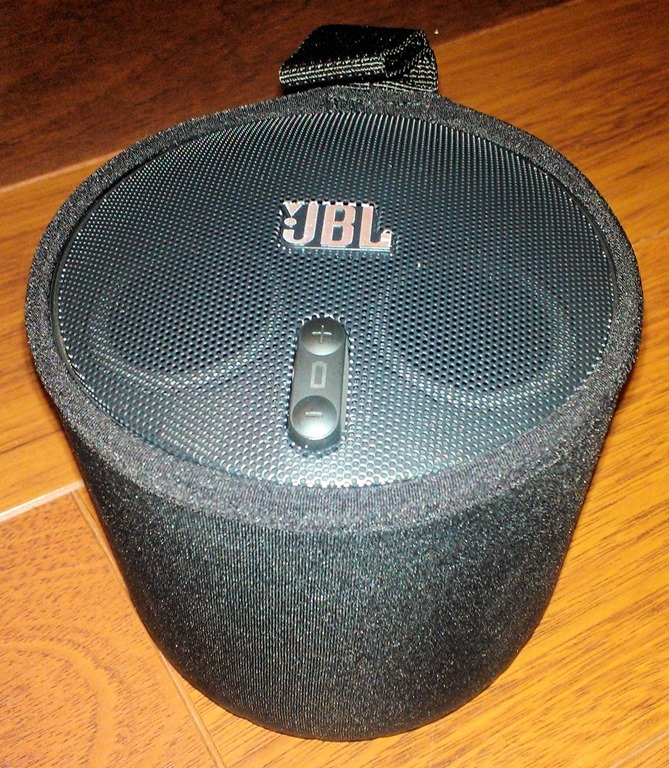 During testing, the JBL Play Up speaker performance was not hindered at any point by mobile phone interference, unlike the JBL On-Stage and most other speakers I have experienced. 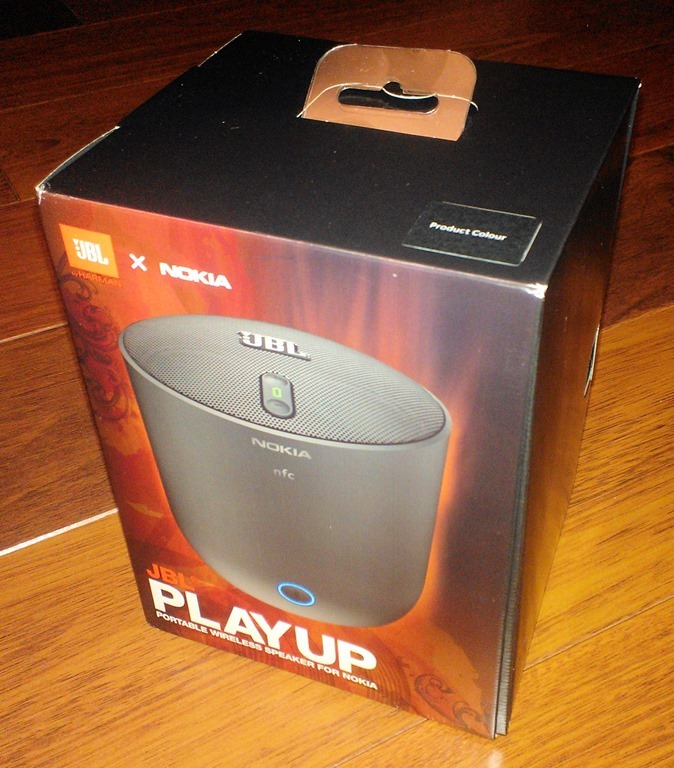 The current price mark for the JBL Play Up is £128.84 at Amazon UK with it’s RRP being £144.99. Although the JBL On-Stage micro has moved on since 2005, the latest incarnation, JBL On-Stage micro III is £38.00 in white or £75.55 in black, again at Amazon UK, although the RRP is at £99.99. Although many of the on-paper specification comparisons above imply that the battle may be a close one, with the possibility of the JBL On-Stage micro being the victor, this is far from the end result. The JBL Play Up wins hands down with wireless connectivity, NFC support and richer sound extending fully into the bass spectrum all be it a little enclosed when compared with the JBL On-Stage micro. The other major advantage for the JBL Play Up is it’s lack of mobile interference to the audio experience. The main question you have to ask yourself is how much do you love your music and how much money do you have to spend. Nice and detailed review. This is one of the few reviews which mentions the detailed specs of the speaker such as the range. A friend of mine just gave me his because he got it for free but does not have any use for it. 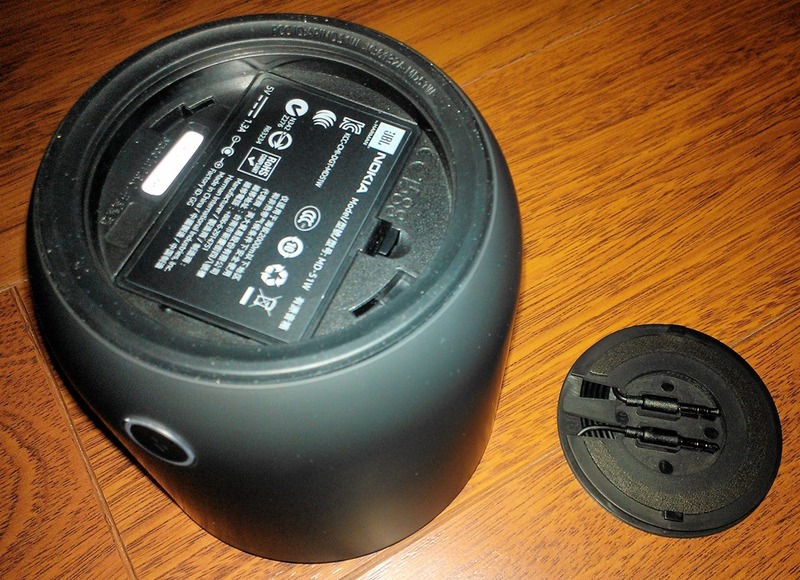 Build quality is certainly better than the play 360 speaker, and the sound is fuller and less hollow. Although it is nowhere near as impressive as the Bose SoundLink which costs three time as much, it is competent enough to full a room with decent sound. Sound is best enjoyed when directed at you, however in the lounge Im not always sitting in the same spot so the omni directional sound offers good flexibility. Annoyances I have experienced during my 4 hours of ownership is latency over bluetooth and the necessity to tweak the sound using an EQ to get the right balance between the lows, mids and highs. Thanks for the comment. I appreciate you feedback and agree there are better BT speakers out there, but they require higher expense.